Currently our stone, tile and grout cleaning services are only offered in the Ventura County. You can spend hours on your hands and knees trying to get dirt, grime and muck out of the stone and tile surfaces in your home. 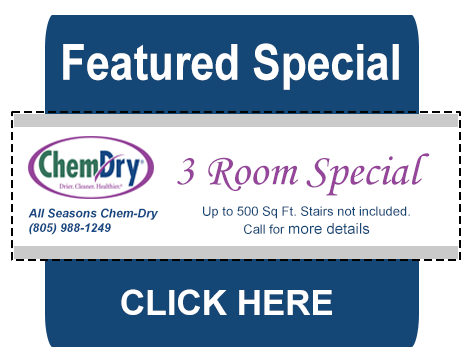 Save the back-breaking work for the professionals at Chem-Dry. Porous grout, tile and stone can act like a magnet for dirt, dust and grimy particles. As undesirables build up in your stone or tile surfaces, they can easily become a breeding ground for disease-causing bacteria. 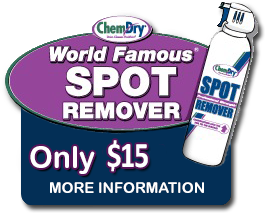 Using specialized cleaning solutions and powerful suction equipment, Chem-Dry can blast the dirt and grime from your tile, grout and stone, delivering a sparkling clean and extending its life. Safeguard the health of your family and the beauty of your home with stone, tile and grout cleaning services from Chem-Dry. Once we have your surfaces looking pristine, we will then apply a durable sealant that helps protect against dirt and other particles that can tarnish the look of stone, tile and grout. Trained and certified Chem-Dry specialists take their time to complete our thorough stone, tile and grout cleaning process, providing the best possible service and ensuring a safer, healthier home for your family. Before the cleaning process begins, Chem-Dry professionals perform pretests to determine the type of stone or tile to guarantee the safest, highest quality outcome for your home, especially when working with acid-sensitive surfaces such as marble, terrazzo, travertine and limestone.